Although The Good Neigbour is not the sort of genre I usually read, I thought I’d give it a go, and I’m glad I did. Minette is a new mother whose neighbour Cath and her two children have just moved in next door. Cath and Minette become firm friends, and Cath seems like the perfect mother, handling a handicapped son and young daughter while particpating in the triathlon for charity and being on the run from an abusive husband. Cath is reluctant to speak about her past, and Minette puts it down to painful memories. But when she witnesses something she shouldn’t, she finds herself having to choose between her friend and her own conscience. This book was gripping, with a fast paced plot line and authentic characters. It’s easy to read but keeps you on your toes, with several plot twists that slowly reveal a shocking secret. The novel is told from three points of view: Minette, Cath, and Cath’s son Davey. This was intelligently done because it allowed me relate with all the characters and get into their heads, experiencing their inner battles with them. Even villains are the heroes of their own stories, and although some of the characters in this book are not always “the good guys”, it was interesting to know the motivations and decisions behind their actions. Those who read my reviews know that I enjoy writing that is poetic, with long, flowery descriptions. Beth’s writing isn’t like this, but it is clear, straight-forward and to the point, which is exactly what is needed for such a fast moving plot line. 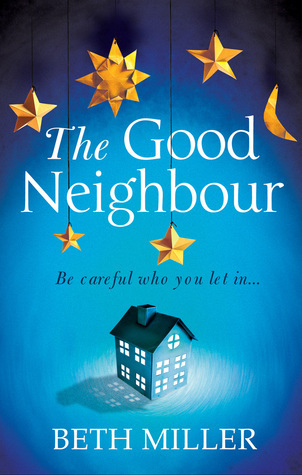 The Good Neighbour is a real page turner and I would recommend.